Signature by Levi Strauss & Co. Gold Label Maternity Skinny jeans offer quality craftsmanship and authentic style backed by over 160 years of denim heritage and expertise. Crafted from premium, super stretchy Simply Stretch denim that won’t bag out and keeps its shape all day, our Maternity Skinny Jeans hug your curves for a perfect fit and jeans features a premium smooth tummy knit panel with a feminine cross back detail that provides enhanced lower-back support that can fold up or down to adapt to your changing figure. The maternity skinny is cut slim through the hip and thigh with a skinny leg opening. 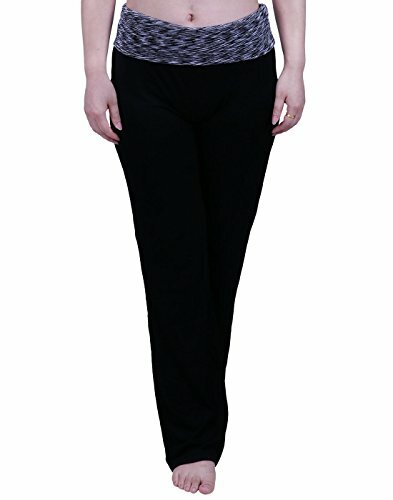 Look and feel Simply Amazing in stylish and versatile Simply Stretch Maternity Skinny jeans. Quality you trust from Levi Strauss & Co., established 1853. Please note that product packaging color may vary. 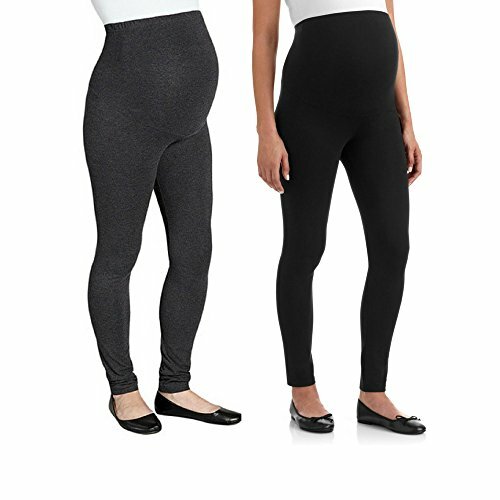 Cradle that baby bump in comfort with these classic cotton-blend leggings. These soft leggings will be your go-to layering piece during your pregnancy. The specially designed belly panel with its elastic band will grow with your bump and make comfy and cute style simple. 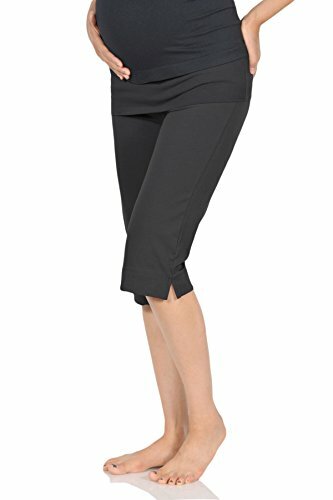 The over-belly panel doesn't pinch or poke, and this versatile pair looks terrific in any trimester. These leggings are ideal for keeping cozy lounging around the house. Outside the house, wear under tunics or dresses for a softer alternative to tights. Machine or hand wash cold with like colors. If you are deciding between two sizes, we recommend ordering a size larger than you would normally wear pre-pregnancy. Get your pair now! Still wearing running shorts to work out? Try something more comfortable, flexible, and suitable for all activities. Whether it's yoga, lounging around, or even a jog around the park, these shorts can do it all. 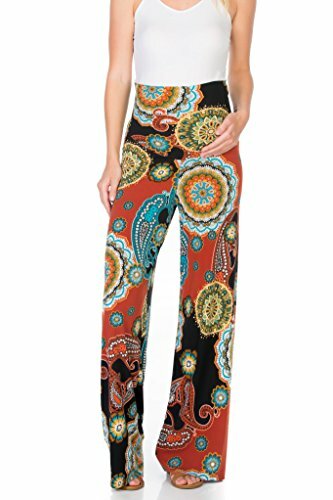 Soft, stretch-knit fabric and a fitted fold-over waist makes this pair an absolute must-have. Their form-fitting construction and eye-catching design are sure to garner more than a few glances wherever they're worn. 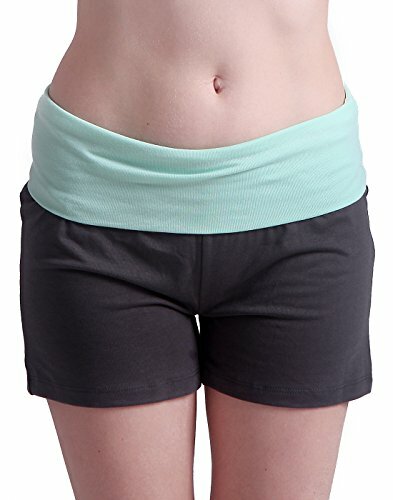 For a girl that constantly on the go, you need a pair of shorts that can be ready for anything! Great Christmas Present! Evfalia leggings are not transparent, very soft and stylish! Cover your belly and provide additional comfort. 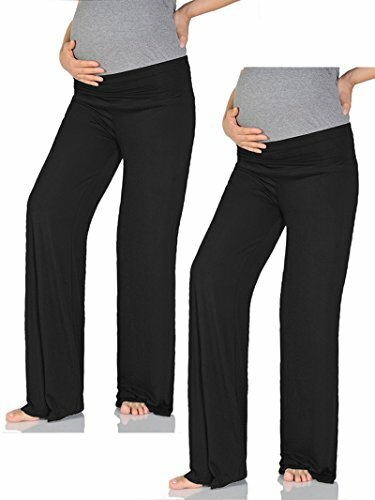 These leggings will provide the maximum comfort and great look during your pregnancy. Your new favorite bottoms over the next nine months! 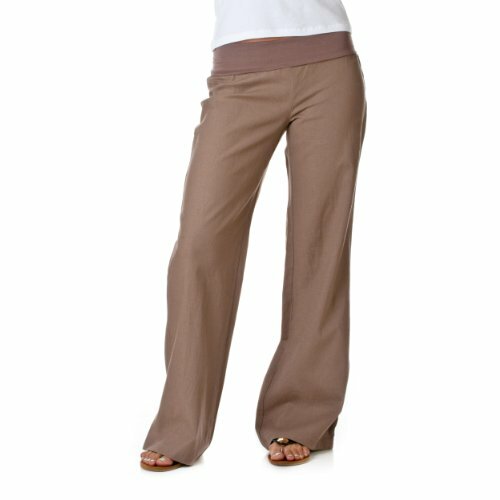 Compare prices on Maternity Bottoms at ShoppinGent.com – use promo codes and coupons for best offers and deals. Start smart buying with ShoppinGent.com right now and choose your golden price on every purchase.